Our members are the best! Our members cover a wide variety of fitness levels, age ranges and interestingly we currently have more girls than guys. We have students, tradies, physios, engineers, fitness instructors, firemen, pilots, members of the navy, nurse, business owners and teachers, just to name a few. Our age range runs from 6 years of age (CrossFit Kids) through to experienced life levels (Otherwise known as over 60’s), so we can certainly cater for everyone. Some members run fast, some members lift heavy and others are really good at handstands but most importantly we all just give 100%. We aim to be encouraging, supportive and friendly to each other and hope to make a few new friends down at the box. We are the members of CFQ! “…. I started the CFQ FREE Foundations classes in January 2016 and loved the challenge. 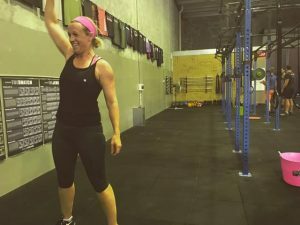 I wanted to build strength and overall fitness as I had not properly exercised for a long time due to an ongoing medical issue. Initially, I was pretty anxious and worried I wouldn’t be able to do any movements in the foundation course, but the coaches were great and were able to scale every movement to my strength and fitness which meant I could complete all the classes. Foundations quickly built my skills to perform all of the movements and for me it was worth doing to learn proper form and to get some confidence to train regularly without injury. I really enjoyed the team comradery and inclusiveness of the foundation class at CFQ and the challenge of all the new movements, most of which I had never done before. We decided to give Crossfit a go after a friend posted the details on Facebook. We both had heard a bit about Crossfit and were keen to try something different that was going to push us. We looked at the class timetable and thought there are quite a few to choose from and being working parents we thought that it could fit into our schedules. So we signed up and have not looked back. We initially thought it would be intimidating walking into our 1st foundations class, as I thought that I was going to be useless and hold everyone up. But I can honestly say that from the 1st class we have been made to feel very welcome and to do what we feel confident with. The foundations classes are really thorough and give you a good grounding on the movements. It doesn’t stop there, after foundations they really keep an eye on the newbies and make you feel part of the team as they ease you into the movements and help you improve week to week. I see the other guys or girls in the class who are lifting heavier than me or doing pull ups without a band as an inspiration, rather than intimidation. I love the feeling of finishing a WOD, sometimes you turn up at CFQ and look at the work out and think ‘how am I going to get through that ?” And you do and I think, I’m so glad I came today!! We love the sense of community at CFQ and have always felt welcome. The coaches are so friendly and approachable and I love that when they are not coaching they join in and do a class as well. 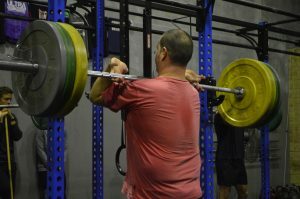 We thoroughly recommend Crossfit Quarter to anyone looking at either starting to get fit or wanting to push themselves. So we hope to see you at CFQ soon!! 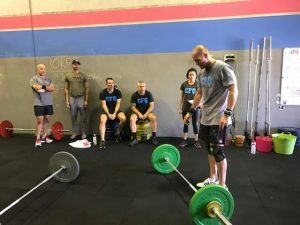 I joined CFQ 12 months ago and I haven’t looked back. I’d always considered myself to be moderately athletic**, but I was so intimidated and nervous to join a “public gym” – that was waaayyy out of my comfort zone!!! I sent Bec an email, explained my situation and held my breath for the response!!! The response I received was encouraging, supportive and welcoming. Since then I’ve enjoyed every minute of being part of such an amazing community. I’ve met some incredible people at CFQ who inspire me in so many different ways. 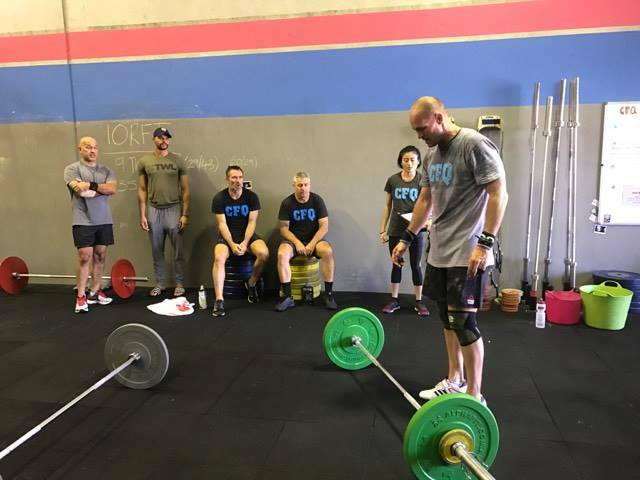 It doesn’t matter if you can run 200m or 2km, if you can squat 10kg or 100kg, if you commit to giving every session YOUR best, you’ll love being a part of the CFQ family. Editors Note: **It should be known that Hope is being very modest with the statement above about being moderately athletic, as Hope is an Olympian having represented Australia playing for the Hockeyroos and subsequently is very good at shuttle runs.